Brent S. Clemmer is an AV-Preeminent rated litigation attorney and partner with Slovak Baron Empey Murphy & Pinkney. 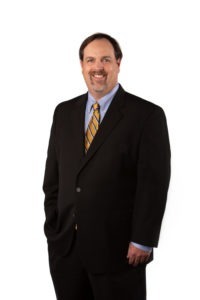 With nearly 24 years of litigation experience in state, federal and appellate courts, Mr. Clemmer has represented various public entities, businesses, lenders, construction companies, medical and legal professionals and others in a broad range of complex litigation, including: contract disputes and business torts, real estate disputes, construction disputes, mechanic lien claims, bank and lender liability actions, employment disputes, professional liability defense (medical and legal malpractice defense), tort claims and personal injury defense. In the area of public entity defense, Mr. Clemmer has represented various public entities and municipal agencies in the defense of actions involving: personal injury, bus accidents, slip and falls, premises liability, dangerous conditions, police liability and excessive force cases, civil rights lawsuits and medical malpractice claims. With respect to financial services litigation, Mr. Clemmer has extensive experience representing banks and private lenders in commercial loan default situations, workouts, judicial foreclosures, deficiency actions, actions against guarantors, lender liability defense, bankruptcy and creditor rights, evictions and collections (including pre-judgment writs of attachment, receiverships, etc. ).